Faced with intense competition in the digital space, Toyota wanted to distinguish itself in the way its brand interacts with car shoppers while streamlining the experience at the same time. 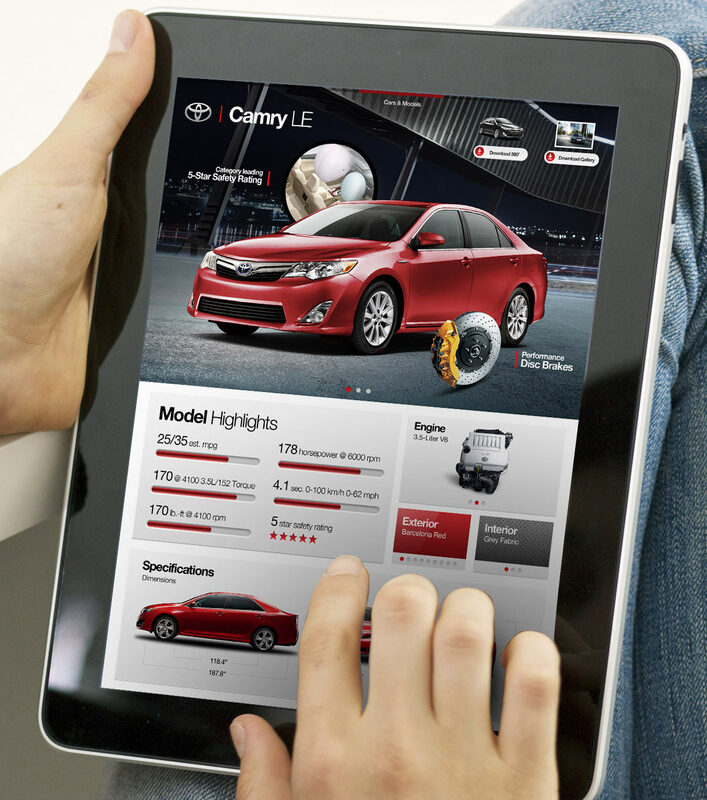 By creating a dual mode iPad app which delivers a premium shopping experience, Toyota shoppers now can experience more of the joy and excitement of car shopping than the headaches and frustration. 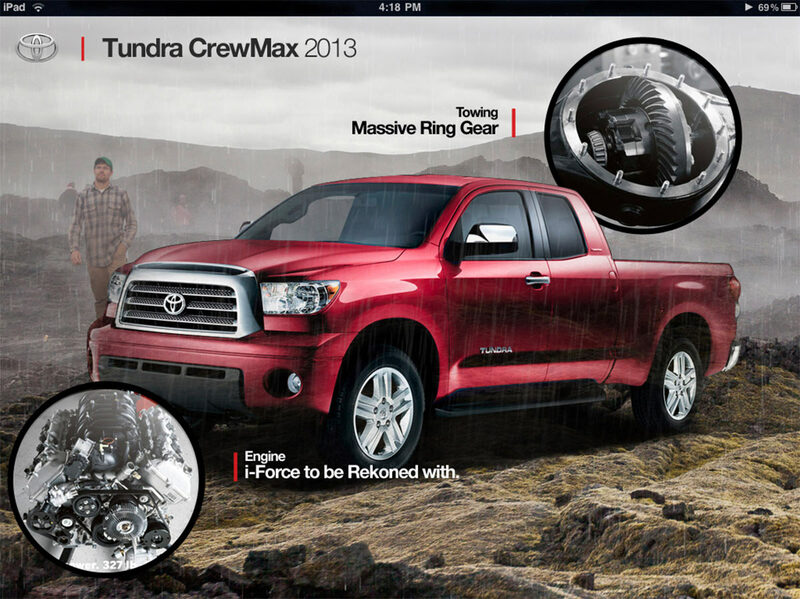 The idea is elegantly simple: in landscape mode, the app gives shoppers an immersive look at Toyota's different vehicle models, connecting each car's attributes to the customer's lifestyle. Each swipe delivers more content to explore, allowing the user to delve into more detail at will. At any point in the experience, rotating the iPad to portrait mode puts the user into shopping mode to configure and price the model being explored. Conversely, users can also begin in portrait mode, pricing out the latest version of their favorite Toyota, before exploring the car's features and lifestyle benefits. 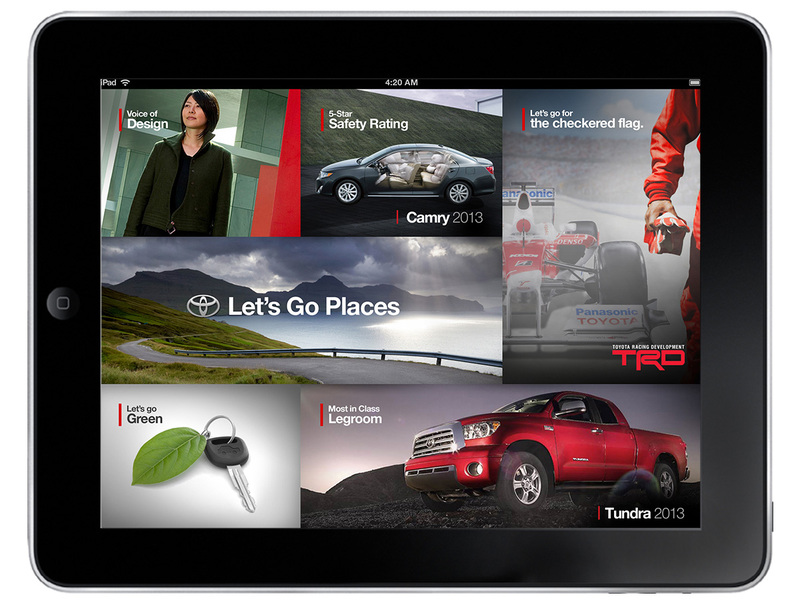 The dual mode iPad app which delivers a premium shopping experience, Toyota shoppers now can experience more of the joy and excitement of car shopping than the headaches and frustration. 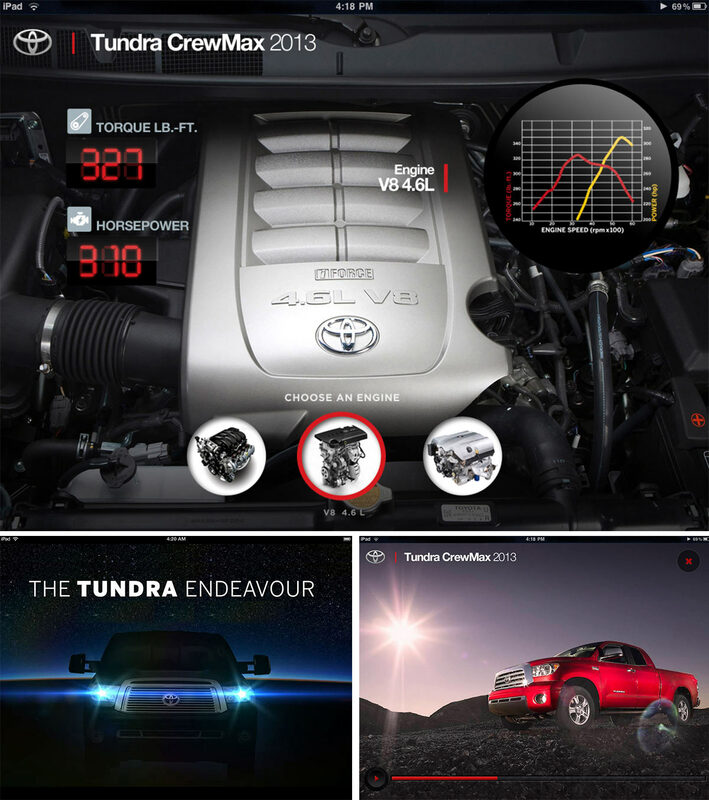 The idea is elegantly simple: in landscape mode, the app gives shoppers an immersive look at Toyota’s different vehicle models, connecting each car’s attributes to the customer’s lifestyle. Each swipe delivers more content to explore, allowing the user to delve into more detail at will. At any point in the experience, rotating the iPad to portrait mode puts the user into shopping mode to configure and price the model being explored. Conversely, users can also begin in portrait mode, pricing out the latest version of their favorite Toyota, before exploring the car’s features and lifestyle benefits. 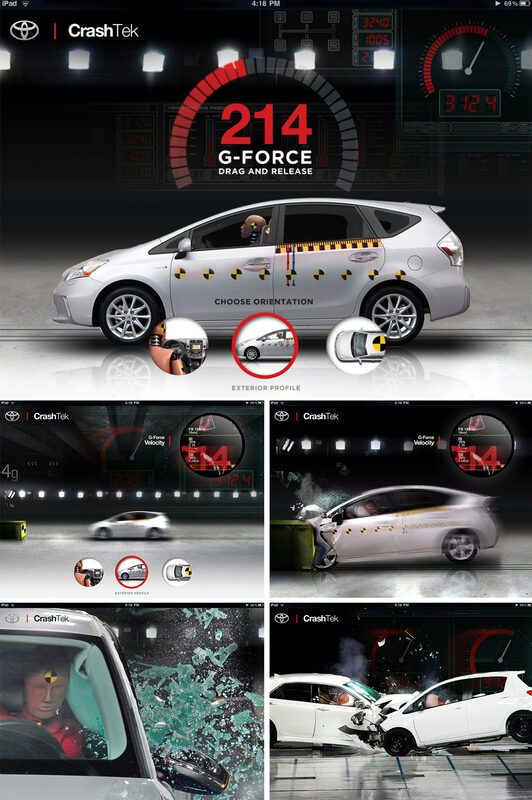 This APP allows users to simulate safety tests while learning about Toyota’s commitment to quality and safety.